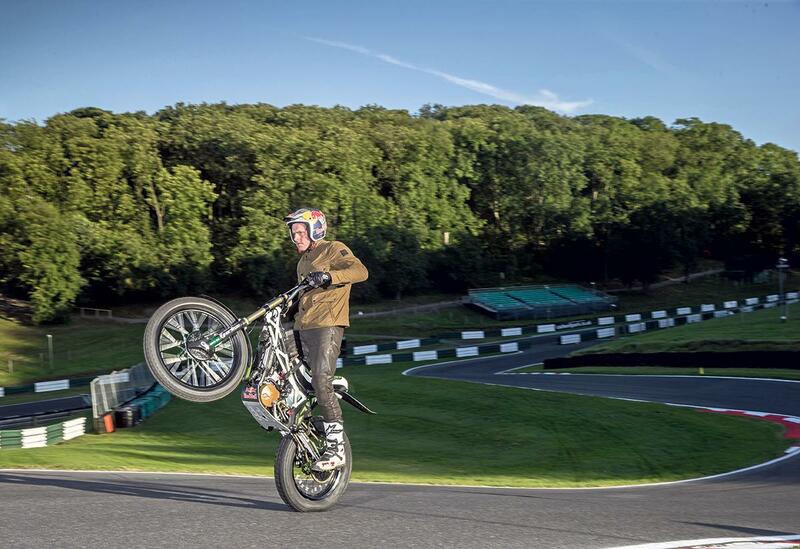 Dougie Lampkin has undergone a successful private test at Cadwell Park ahead of his attempt to wheelie the entire Isle of Man TT course on September 24. The 12-times world champion was at the track last Wednesday for three hours as he tested his modified trials bike to try and establish just how far he could wheelie in that time. The TT course was chosen due to Dougie’s connection to the Island, having lived there for nine years. Dougie will hold the wheelie at a constant speed of between 19 and 21mph on the day, using fifth and sixth gear, with the lap of the legendary Isle of Man Mountain Course expected to take just under two hours to complete. During the attempt, he will be following another vehicle and there will be live traffic on the opposite carriageway, which adds another variable to the challenge. The attempt will be broadcast as a live stream on www.redbull.tv. Dougie was determined to use a trials bike for the stunt, saying: “I’m a trials rider so I never considered anything else.” The bike being used is a modified Vertigo Ice Hell 300 and uses a single-cylinder 300cc two-stroke, fuel-injected motor. Lampkin has previously tested the bike at Croft race circuit, as well as at Coniston Hall estate, close to where he lives, with this Cadwell Park test being the last scheduled track practice before the big day. Dougie Lampkin isn’t the first to attempt a complete lap of the TT Mountain course on the back wheel. In the late 1970s Dave Taylor MBE attempted the same stunt aboard a Yamaha XT500, and members of his family have been involved in this project from the outset. Lampkin tackles the TT... on his back wheel!